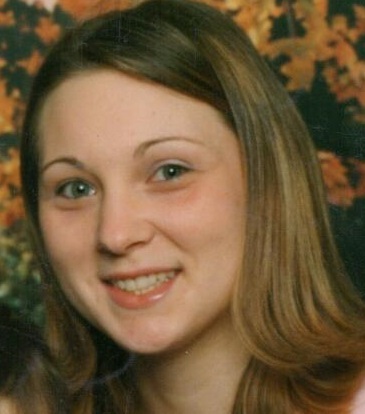 Natasha Mae Visnesky, 34, of Kittanning, died Thursday, Aug. 16, 2018. She was born July 22, 1984, at Armstrong County Memorial Hospital, the daughter of Theodore A. Visnesky and Patricia D. Crawford, and she lived in the area most of her life. Natasha went to St. Mary’s Catholic School and grew up attending St. Mary, Our Lady of Guadalupe Catholic Church. She graduated from Lenape Vo Tech in 2002, after which she went to school for massage therapy. Natasha was very outgoing, funny, smart, and beautiful. She had an amazing personality. Natasha always had a lot of friends. She loved spending time with her friends and family. Natasha was very adventurous, and it showed through her love of dirt bikes, amusement parks, and water-rafting. She was very artistic. Natasha loved crocheting, drawing, painting, sewing, photography, and scrap booking. She was really good at crocheting and she was a great cook, always preparing the family holiday dinners. She loved to shop and get dressed up with her nails, hair, and make up all done up. She loved teaching her daughter all of the girly stuff. Most of all, Natasha always loved spending time with her children and her niece, cherishing every moment they spent together. Survivors include her parents, Theodore A. Visnesky and Patricia D. Crawford, both of Kittanning; sister, Corenne M. Visnesky, of Kittanning; brother-in-law, Timothy S. Smith, of Kittanning; her children, Trent A. Visnesky, Taijiah M. Visnesky, Michael W. Klingensmith, and Miles A. Klingensmith, all of Kittanning; niece, Aubree R. Smith, of Kittanning; and many aunts, uncles, and cousins. She was preceded in death by her paternal grandparents, George W. and Velma M. (Stephens) Visnesky; maternal grandparents, Robert E. and Phyllis G. (Holibaugh) Crawford; and aunt, Joyce A. Visnesky. Private services will be held with Rev. Douglas E. Dorula officiating. Arrangements are entrusted to the Snyder-Crissman Funeral Home in Kittanning.